Astoria is one of the best neighborhoods in Queens. Over the last few years, lots of young professional types and hipsters have discovered the neighborhood. But unlike what's happened in parts of Brooklyn, they're not really gentrifying the neighborhood, they're just increasing the demand for housing. Astoria has long been a favorite neighborhood of many families who have lived there for generations. If your commute is above Midtown, it's all good. If you have to trek to Lower Manhattan, it'll take awhile. Here are a few of the many positives about living in Astoria. Astoria is 15 minutes or less from Midtown Manhattan. The N and W subways lines run through the heart of the neighborhood, above 31st Street. It's also a hop, skip and short drive over the Triborough Bridge to Harlem and the Bronx. Why waste your non-work hours in a commute? Sure, real estate in Astoria has boomed, but it's nothing like Manhattan. As of April 2017, you could still find a one-bedroom apartment under $2,000 a month. Of course, the more desirable locations in Astoria command higher rents, and they keep climbing. What you find just might be in a small building on a quiet street, down the block from a great Greek cafe. What a great place for a park! 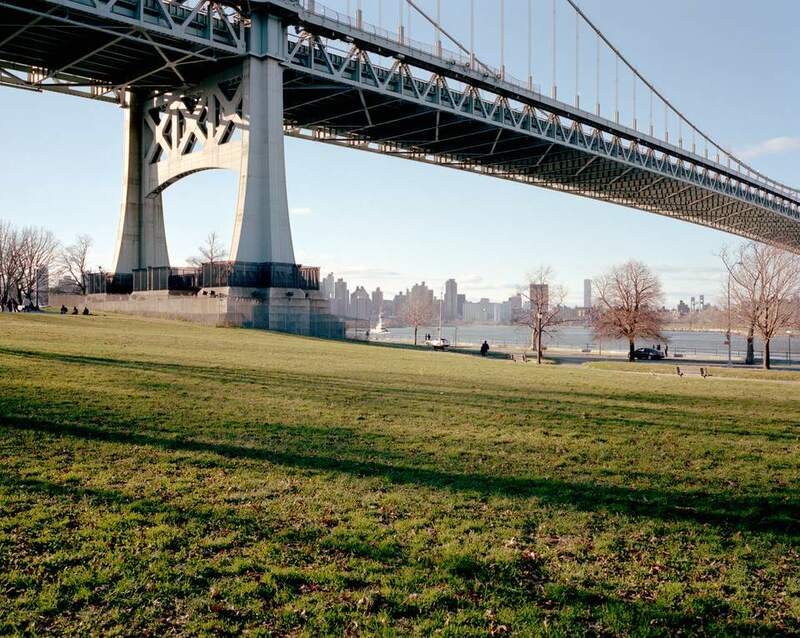 Astoria Park is smack on the East River with gorgeous views of Upper Manhattan and the Queensboro and Hellgate bridges. Weeknights come home to your apartment and walk on down to the riverside for an evening stroll (though always be careful at night alone). And Robert Moses' Astoria Pool is the king of all outdoor city pools. The only old-school, big beer garden left in New York City, Bohemian Hall is wonderful. Turn off crazy urban 31st Street -- the subway overhead -- and escape into this huge beer garden with its shady trees, picnic tables, pitchers of icy beer and platters of hearty Czech food and barbecue. It's a must on summer weekends that include stein-thumping live folk music on many afternoons. Bohemian Beer Garden is a true urban oasis for families, visitors and a cast of neighborhood regulars. The arts are picking up steam in Astoria. Local culture is led by the innovative Museum of the Moving Image. It is one of the finest museums in New York City for kids and adults and definitely for movie aficionados. Yes, fresh cannoli is enough to get lots of people to consider moving. The cannoli at the Italian bakery La Guli are some of the best in NYC. Go to La Guli; you will not be disappointed. It's at 2915 Ditmars, close to 31st Street and the final stop of the N subway. Where Are the DMVs Located in Queens, NY?